While most of the focus of UFC 220 is on the card's top two fights, the heavyweight championship bout between Stipe Miocic and Francis Ngannou and the light heavyweight championship bout between Daniel Cormier and Volkan Oezdemir, there are a number of other exciting fights on the card that aren't getting much love, including four fights in the UFC's stacked featherweight division. The other day I wrote about the top contenders in the 145-pound weight class following big finishes by Jeremy Stephens and Darren Elkins, over Doo Ho Choi and Michael Johnson, respectively, but at UFC 220 there are a number of young prospects who could soon join them as contenders at 145. 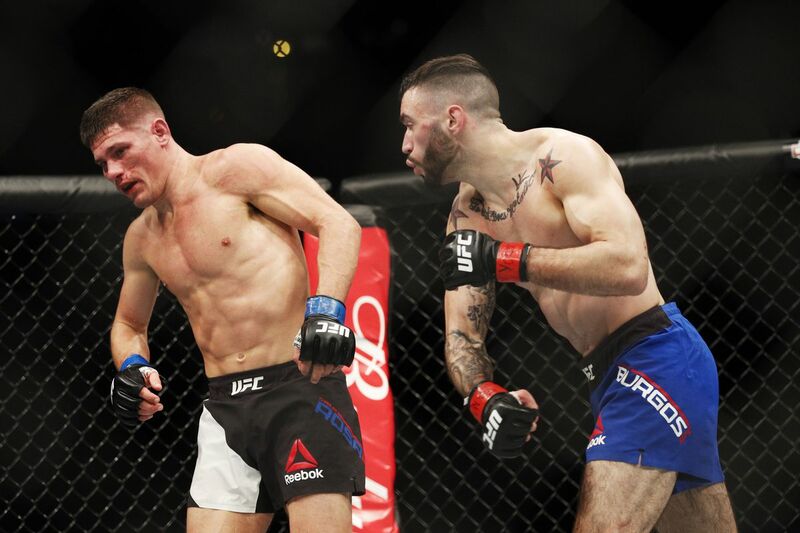 Seven years after the UFC brought the featherweight division into the world's top MMA promotion, 145 is entrenched as one of the most exciting weight classes in the sport. And it's about to become even better. The most important featherweight bout at UFC 220 is the lone one on the main card, a fight between undefeated prospect Shane Burgos and emerging prospect Calvin Kattar. Burgos, who is just 26, is already 3-0 in the UFC and he's 10-0 in his young career. He's an elite prospect who combines a solid grappling game with a vaunted striking attack to go along with really good cardio, and he has the potential to make waves at 145. His opponent, Kattar, is 29 and 17-2 in MMA, including a victory over Andre Fili on short notice in his UFC debut. He's a solid fighter overall, and he showed an incredible striking attack against Fili, who he was a significant underdog against. Kattar has actually been involved in MMA for 10 years, and even competed in EliteXC back in the day, but to UFC fans he's a prospect, and with a win over Burgos could soon see himself in the rankings. This is an important fight in the featherweight division, and the winner will be in a good spot. The "main event" of the televised prelims is also a featherweight bout, this one between Kyle Bochniak and Brandon Davis. Bochniak, who is 30, is just 1-2 in the UFC, but both his losses were close decisions, and the UFC clearly views him as a better talent than his record indicates given his placement on the card. 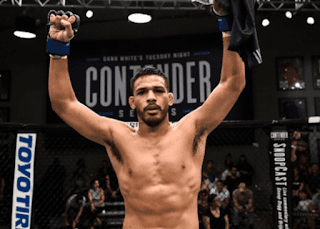 But it's likely the promotion is hoping that Davis, who is 27 and 8-3 in his career, will put on another great show after his win on Dana White's Contender Series. The UFC is giving these guys a prominent spot on television, and now it's up to both men to deliver and show the MMA world they are dark horses at 145. Also on the televised portion of the card is a featherweight bout between two newcomers in Dan Ige and Julio Arce, both fresh off of victories on Dana White's Contender Series. Ige is 26 and 8-1 in MMA, while Arce is 28 and 13-2 in MMA. Both men looked like really good prospects on that show, and so the UFC signed both of them to the big show. Now it's time for them to deliver. And finally, on the Fight Pass portion of the card, Enrique Barzola takes on newcomer Matt Bessette. Barzola, who is 28, is a quiet 3-1 in the UFC and is quickly emerging as one of the better fighters from South America on the UFC roster. Bessette is 33, but with a 22-7, 1 NC record is extremely experienced in the sport, and after multiple stints in Bellator, he is finally ready to make a name for himself in the UFC. The UFC featherweight division is one of the best, most exciting divisions in the promotion right now, and with the continued influx of new talent like these eight fighters, it will continue to get better. Ultimately it's up to the fighters to go out there and perform, but the UFC has given them every opportunity to succeed. UFC 220 has the potential to be a really good card if they live up to the expectations.